As clear as glass...this kid was VAXXED to death. Once in awhile the proof of the horrible dangers of vaccination for some kids are so clear that there is no denying the direct causation. 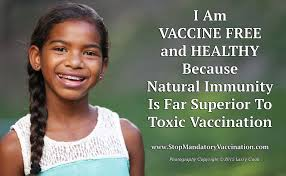 "Yes vaccines can prevent disease. But also a small percentage of some people are seriously injured by them. Why is a test not done prior to the vaccination? I can take my cat to the vet and if it needs to be sedated for a procedure the vet will do a test to see if the cat has developed an allergy to the sedative. He also can do tests before feline vaccinations to determine if the cat will be harmed by them. Why do we not do a test to children before they receive a vaccination to learn if they will be adversely affected by it? They do it for pets, but not people?" Fair question, don't you think?? Why is it, exactly, that we treat pets better than people?? Do you really want to know?...Look up "Malthusian." Then Google "Georgia Guide Stones." Our global elite literally think that the only way to save the planet is to eliminate 95% of the world's PEOPLE...Animals are fine, the story goes, because they don't pollute (except for large bovine cow farts) and because they don't clear forests, put plastic containers in the oceans, etc. But while things can and should be done to address environmental abuses, the idea that people need to be eliminated is obviously SOCIOPATHIC and should be strongly censored, and those espousing it should be de-commissioned from public life or any position of authority over others. The same should be said about those pushing mandatory vaccination, especially if/when they exempt themselves or their families (as many lawmakers are known to do.) 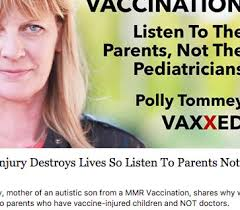 Let the VAXXERS play Russian roulette with their own lives and those of their own children, and leave the rest of us ALONE to make decisions for ourselves and our children. After all, if your vaccinations are so wonderful and effective, you have NOTHING TO FEAR from the unvaccinated, right??? Answer the question, Vaxxers...AND don't just dodge it as you always try to do.